Can I tell you how much I love these shoes? I saw a woman weeks ago at wearing a similar cap toe flat with black tights, skirt and wool pea coat. Instant love. I spotted these at TJ Maxx and immediately claimed them as MINE for $30 bucks. Luke loves Legos. I'm drowning in them. 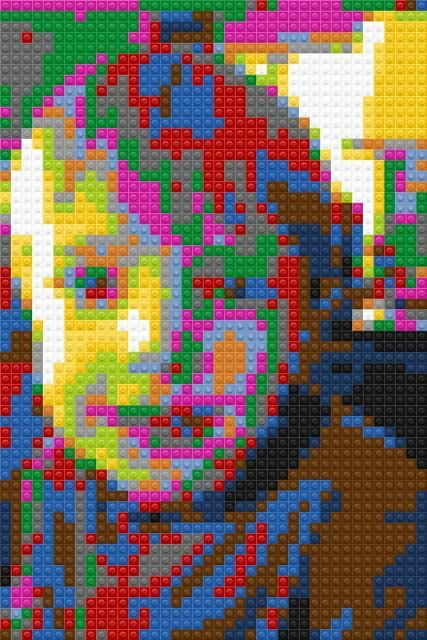 I found this fun Lego photo app that allows you to turn a photo into Legos. He loves it and most importantly, it's free. Next week, I'll be sharing a recipe with you that involves the following ingredients. 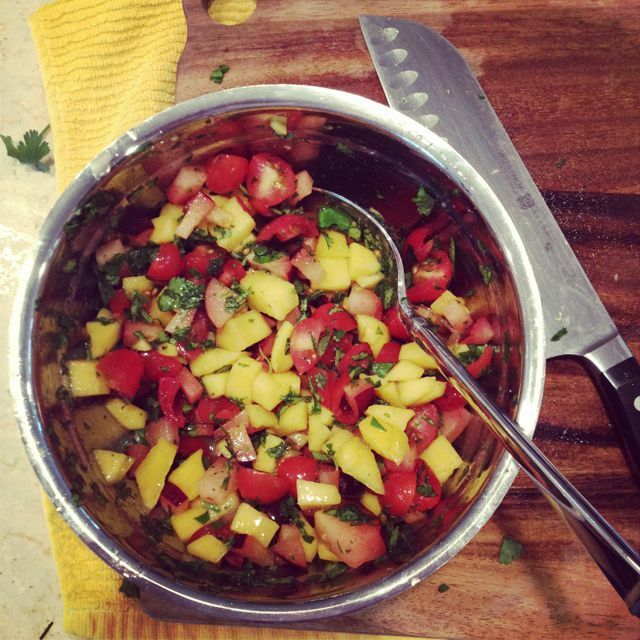 Mango, plum, paprika and cumin. It is absolutely one of my all time fav recipes on the planet. My bff passed it along to me. She's awesome. Please stay tuned. 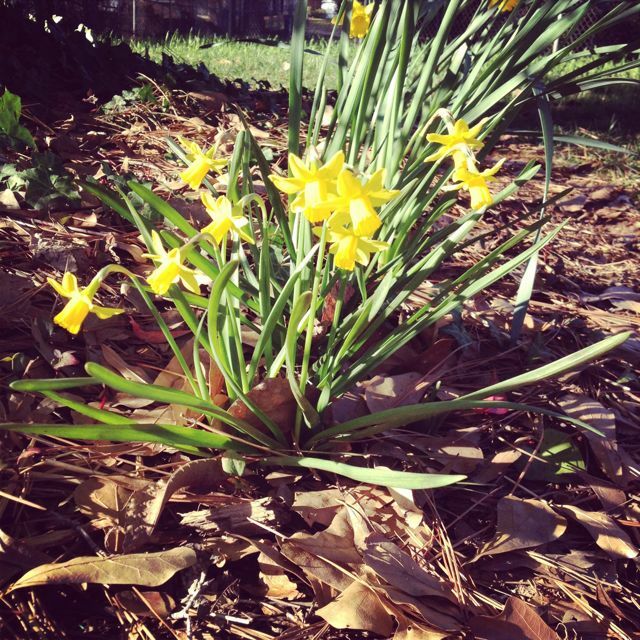 Daffodils make me so happy. I've always considered myself a fall type of girl but the last two spring seasons have me reconsidering. The more I garden, the more I get so, so excited for spring. I moved a TON of bulbs last fall so I'm very anxious to see what comes up this year. I'm also considering sharing more of my garden experiences on the blog here. (Or what I refer to as trial and error.) Thoughts? Flowers are like children. They're so forgiving and resilient. Speaking of resilient. This little guy has grown by leaps and bounds the last few weeks. 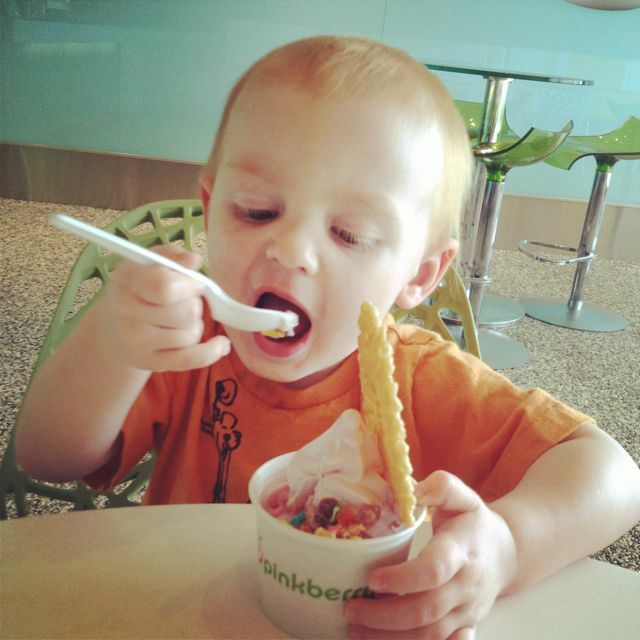 No longer can I appease him with a topping-free Pinkberry treat. If big brother has toppings, Jett's getting toppings! He's become so independent and has learned how to say his big brother's name (Wuuuuke). It makes my heart smile. Those shoes are so cute! And for $30?! What a steal!! Life is good!!! Love the shoes. Sweet, I love finding great deals like that! Ditto. I'm a Fall girl, but I love to garden & can't wait to put in our veggies & watch the English cut garden we landscaped & planted last year bloom out! I'm very intrigued by that list of ingredients! Can't wait for you to post the recipe. I'd love to see gardening pictures. I just plant annuals and love watching them grow. However I complain all summer long about watering. You're right. They always bounce back. I really wish it didn't snow 6" last night! Those shoes are adorable. Love the price!